Have you ever struggled with having great looks curls after a trip to the gym? While working up a sweat is great for your health, it can be disastrous on curls. Here's how to get great post gym curls. If you haven't already, consider investing in a great dry shampoo. You can use dry shampoo on post gym curls to absorb excess oil and sweat, but without the risk of removing moisture by over cleansing. Additionally, this means you can skip the after elliptical shower and get out the door that much faster. Spray your sweaty roots, allow the shampoo to sit to absorb the oil and then rake through with a comb or finger tips. The market is awash in dry shampoos of varying prices and designed for specific hair types. However, one thing to consider is your hair color. Some dry shampoos can leave behind a white residue so for curlies with dark hair it might be worth getting a dry shampoo for darker strands. Before hitting the gym, take a few moments to pull your strands back. After the workout, you can take the ponytail out to fluff up your strands and restyle as necessary. Pulling strands back will prevent curls from clustering around the forehead and becoming sweaty. 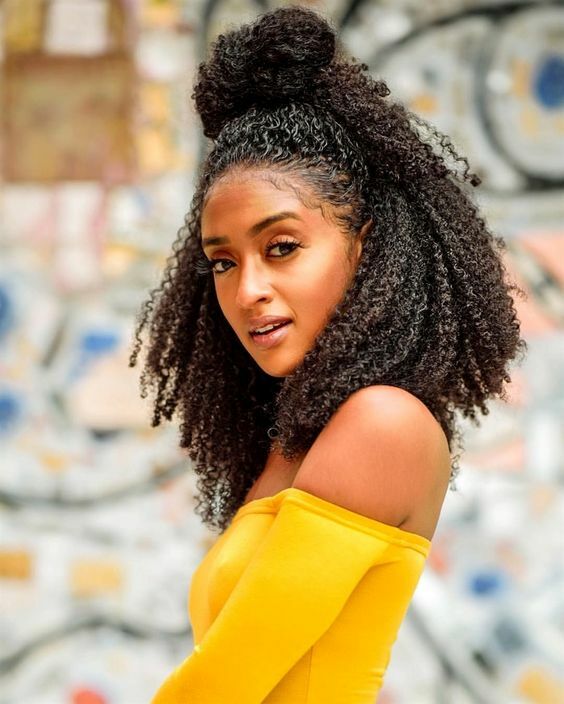 You can also use a headband to help keep curls off of your forehead and absorb sweat that might otherwise get deposited into the hairline, which can weigh down strands. Braids can be your styling best friend during a work out. Not only will a braid keep hair back, it can also help preserve the shape of curls. For example, a loose braid will allow for curls to be contained with disrupting the natural curl pattern. However, if you need a tighter braid, you could opt for a French braid. One or two French braids will keep curls pulled back as well as containing them.